Are you a froshie and don't know where to go? It's tough being the new guy, especially when speaking in the context of college. New school, new people, new professors, and a totally new environment - it can all be a bit stressful. But on the bright side, you'll get to meet new friends and get to see new places. The tricky part is figuring out where to go when you and your newound friends just want to chill and get to know each other a little better over a frosty bottle of brew. But unless you went to St. Scholastica's, you probably wouldn't know where to go. Even DLSU's alumni need a crash course on the hot spots around their alma mater. 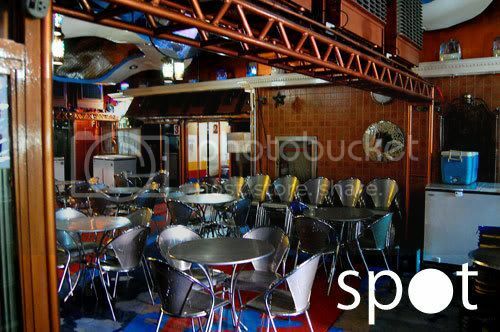 So here are SPOT's Top 5 bars/ places around DLSU where you and your new posse can hang out. Green Place. This cafeteria style place has been around ever since my time (6 years ago). 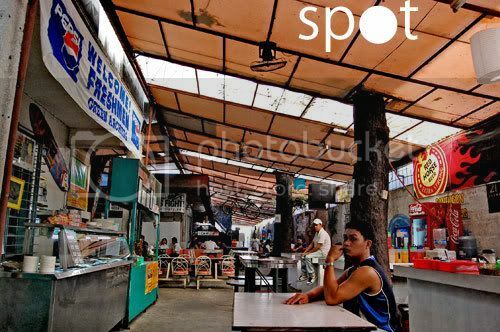 It's located near Smoker's Lane or Agno, the street between the Miguel building and "Goks" (Gokongwei building). It's just beside the Brother Andrew building and right in front of the Sports Complex. As you can see, it's a very informal place where you can put your feet up and play cards. If you don't fancy a game of Tong-its, then you can go on over to their billiard tables and play a little 9 ball before your next class starts. 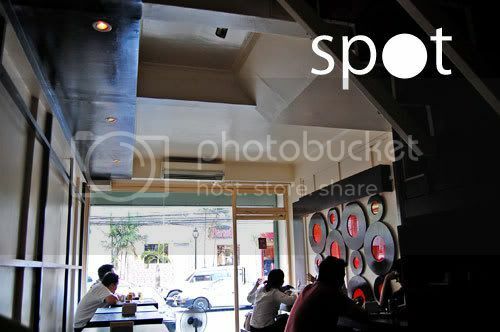 If you get the munchies, they also serve sizzling dishes aside from the Turo-Turo food they have. Beers served include San Mig Light, Pale, Strong Ice, and Red Horse. Bring a fan when you plan to hang out at GP because it can get very warm during the afternoon. Tulyase. 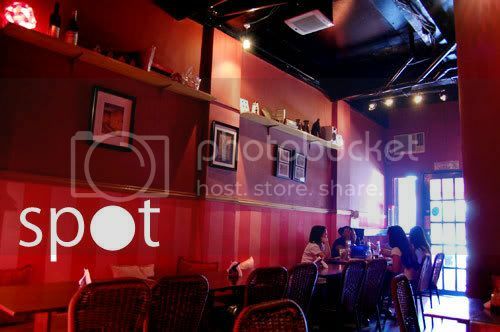 Another informal venue that's located right beside a condo/dorm. They're open pretty early (8 a.m.) and close very late (12 midnight). Located along Leon Guinto street right in front of the Providence Tower, this is the place where you can get a late dinner with your new pals. Beers served include San Mig Light, Pale, Strong Ice, and Red Horse. Personally, I come here because they serve the best sisig in the area (with the Sisig of Kaibigan in Taft Tower a close second). 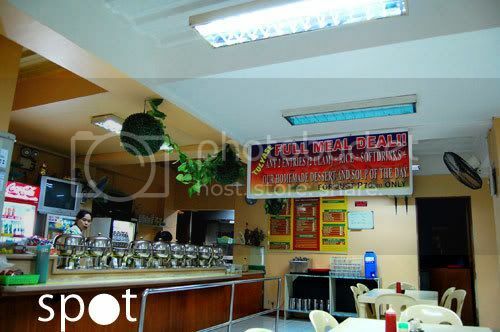 Tulyase offers cheap value meals that include 2 viands, the soup of the day and iced tea for only 70 pesos. Red Tangle. A new bar/lounge in the place of the once legendary Goose Joint (or GJ), Red Tangle is one of the places in the area that has chic interiors and very cheap cocktails. Their house specialty, Red Tangle Overdrive, will only set you back 60 pesos and their beers stick to the average price of 35 pesos per bottle. They also have bucket deals so it's perfect for a group of kids who need a little alcohol to kick-off their bonding sessions. Red Tangle has been in operation for 4 months only - a newbie!. Straight Circle. Clean interiors and simple furnishing, this bar reminds me of Kitchen. It's a comfortable place to hang out in but you still get the feeling that you're in a very stylish and chic place. Straight Circle is located along Leon Guinto Street, just before Red Tangle. It's a two story bar that also serves all sorts of coffee and fraps so if you're not in the mood for alcohol, you can get your caffeine fix here, too. As for the price, they conform with the general price range of liquor in these parts - 32 pesos for a bottle of San Mig Light. Straight Circle plays Hip Hop music all day. Providence Tower. Two floors of sheer videoke pleasure, Providence Tower is every DLSU student's (and St. Scholastica's - you'll find out when you go here on a Friday night) stop for cheap videoke. Providence Tower is located just beside Pharmacia Sta. Ana, along Leon Guinto Street. Another plus for "Prov" is that it also houses a gym on the second floor. The downside is they just serve San Mig Light. And currently, they have a 100 peso limit if you want to use a videoke room, from which you can choose between the regular room (P5/token) and the VIP (P10/token). We usually get the regular room, which can fit up to 6 people. Providence Tower also has a restaurant called MamaV where you can order pulutan. But of course, this old timer only revealed the classics. If there are any other great tambayans out there in Taft for a confused froshie or an oldie but goodie like me, then please do share your picks with us!